టాటా టియాగో 7 వేర్వేరు రంగులలో అందుబాటులో ఉంది - Berry Red, Pearlescent White, Ocean Blue, Espresso Brown, Titanium Grey, Canyon Orange, Platinum Silver. It's good and nice. Advanced futures in low budget. AC is very powerful. Driving very happy. 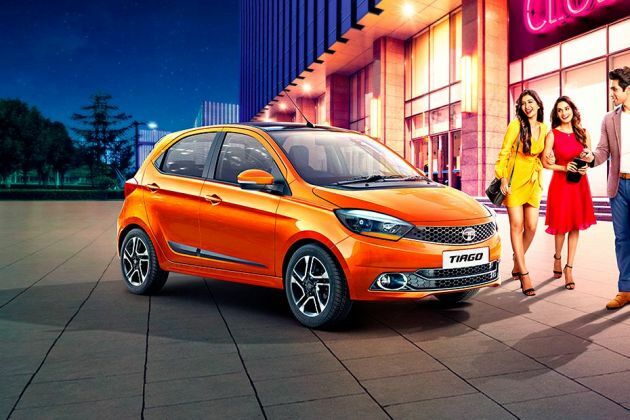 Tiago is a nice hatchback car and gets more features compared to its competitors. Very good car in this segment, good for a family of five people to travel. Very much comfortable for long journeys. Good to have a very nice car in budget love it. Its comfortable for 5 people and good for long trips.